Situated in the residential locality of Seshadripuram, Hotel Samrat Residency is a comfortable accommodation facility in Bangalore. 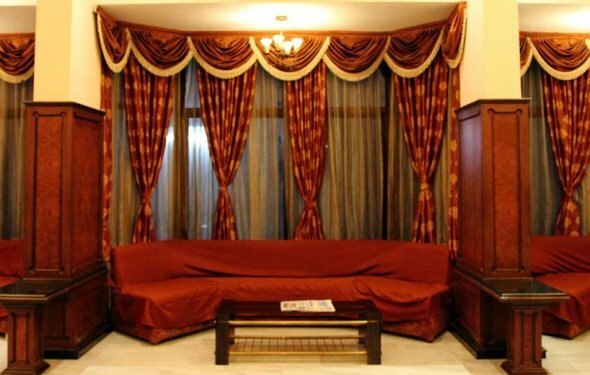 The property is located within 5 minute drive of Bangalore City Junction. The hotel features spacious rooms that are provided with latest amenities, such as flat-screen cable television, telephone, safe locker and tea/coffee maker, while selected rooms are provided with air conditioner. En suite bathrooms are equipped with suitable fixtures, necessary toiletries and 24-hour running water supply. Guests can relish palatable delicacies as well as refreshing drinks at the on-site dining area. Those who prefer dining in the comfort of their rooms can order scrumptious dishes through room service. Myriad of facilities like laundry, housekeeping, travel assistance, doctor-on-call and car parking make the stay pleasant and comfortable for guests. The well-trained staff at the hotel offers warm hospitality and prompt services. Bangalore Palace is a popular place of interest, which is located within a 10-minute drive of the property. Complete List of Attractions & Popular Hotels! Route Map & Driving Directions! Evoma is an Indian corporation based in Bangalore, IN providing serviced office & business hotel accommodation.